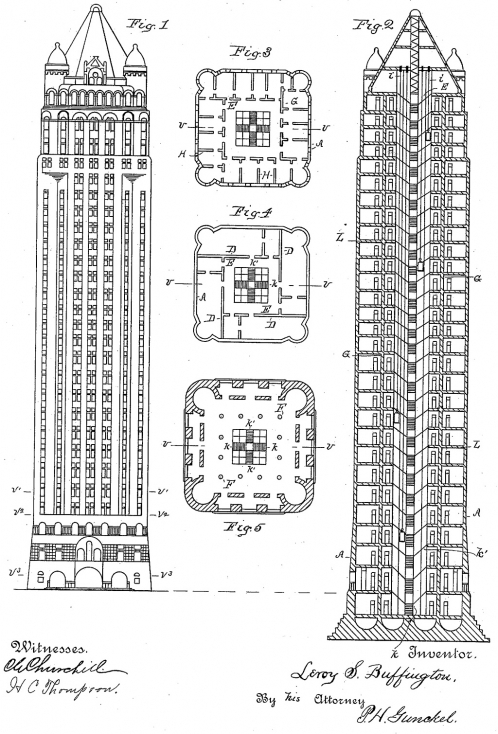 in 1886 the first steel framed skyscraper was already opened in Chicago if I recall. Ten stories high, with building construction paused due to fears that it wouldn't hold. It was the Home Insurance building, erected 1884-1885, architect William LeBaron Jenney. I'd love to see some shots of Chicago of that era, as well as Chicago of 1777 (the time of the Great Railway Strike) if someone has some.